On October 15, MCU welcomed Professor Lorraine Ní Gháirbhith of the Institute of Education of Dublin City University. 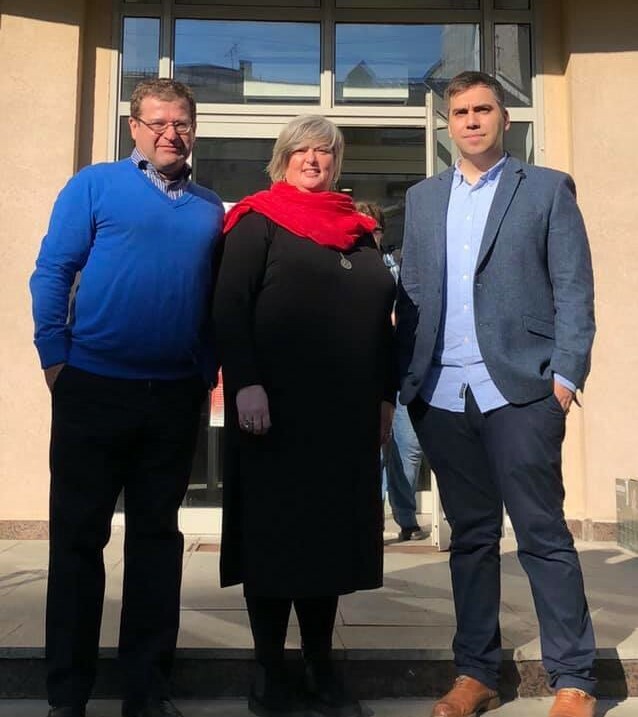 Deputy Head of the International Relations Department Ashot Dzhanumov and Deputy Director of the Institute of System Projects Igor Shiyan discussed with Professor Lorraine Ní Gháirbhith the prospective areas of cooperation between the institutions. As one of the first collaborations, MCU invited the researchers of Institute of Education of Dublin City University to participate in the Annual International Symposium ‘Education and City: Partnership for Success’ in 2019.